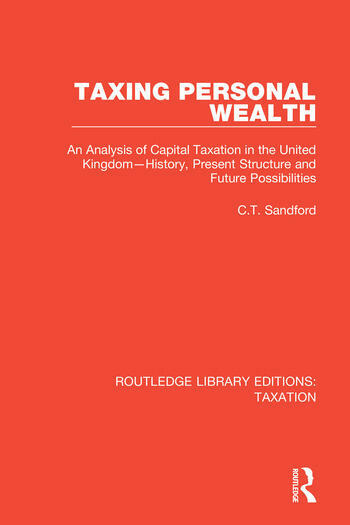 This book, first published in 1971, presents an analysis of the taxes levied on wealth or capital – death duties, annual wealth taxes and capital gains taxes. It provides a comprehensive study of these taxes, and recommends a series of measures, including the replacement of certain taxes, that would promote equality. The book also provides a masterly historical summary of death duties in the UK.